Last article I covered crushing, which is the main prime mover for grip strength related to Obstacle Course Racing (OCR). Crushing is where you should spend the majority of your effort and the majority of your money when purchasing grip tools. However, having good pinching ability is still relevant for a couple of reasons. First, it creates a well-rounded athlete. Second, you never know what the course designers are going to throw at you. Blockbuster Pinch Grip: The Blockbuster Pinch Grip is essentially a block with an eyelet at the bottom, which allows it to be connected to a loading pin or a pulley machine. Just as with any attachment, this can be used an a pulley machine to turn any of your exercises into a pinch grip exercise such as upright rows, one arm triceps pull-down, one arm lat pull-down, lateral raise, reverse lateral raise or front raise. IMTUG: IMTUG are what appear to be mini-grippers. However, IMTUG are not grippers for children, they are smaller versions of their big brother Captains of Crush (COC) that are designed for individual finger strengthening. By using only a couple of fingers on IMTUG you can improve your pinch grip along with strengthening individual digits. Just like COC, there are various levels to test your pinching ability. Unlike COC, the IMTUG are rated differently so just because you can close an IMTUG No. 3 do not think that you will be able to close a COC No. 3. Pinching thin plates together: Without buying any fancy equipment you can still train pinch grip by plate pinching. 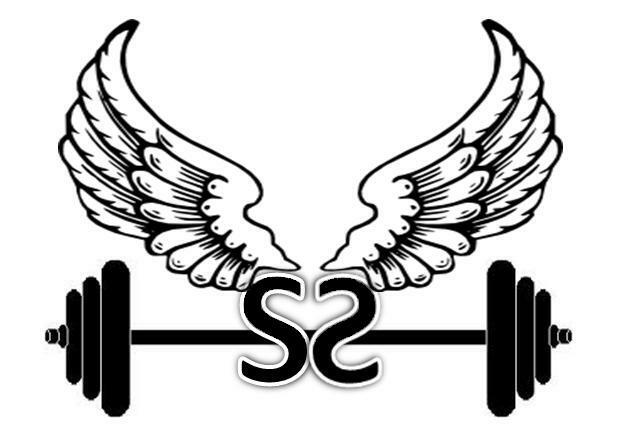 Pinching two plates, whether they be Olympic style bumper plates or the standard barbell plates (you will probably max out at 25 lbs. plates for both, style of plate and exercise dependent). 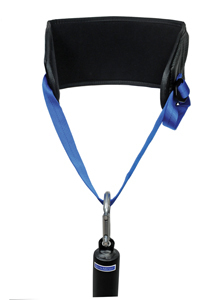 These can be used for low carries, holds for time, shrugs or upright rows. All work muscles in your upper body while simultaneously enhancing your pinch grip. Hub: The hub is designed after the center hole of a York 45 lbs. plates. Although you can still find gyms with York plates that allow for hub lifts, most people I have met cannot lift the 45 lbs. plate initially. By purchasing the hub you can incrementally work your way up to the 45 lbs. goal using either the loading pin to add weight or a pulley machine. Titan’s Telegraph: If you are looking or a piece of equipment that just does pinch gripping, then Titan’s Telegraph is for you. The machine looks like a giant telegraph that you add weight to and practice pinch griping closed. If the little IMTUG gripers are not doing it for you, this will take training to the next level and allow you to find tune the amount of weight you are adding to your pinch grip training. Pinching thick plates together: If you do not want to spend the extra money, pinch grip training can be accomplished by pinching plates together. To work your open hand pinch grip try using thicker plates whether that be thicker versions of standard plate loaded weights in your gym or the rubberized Olympic plates. Just like training with thinner plates while pinch gripping, these can be used for low carries, holds for time, shrugs, upright rows or even lateral raises. With many options for pinch grip training from Ironmind and around your gym, a well-rounded training routine using all aspects of the cube will help advance your grip strength. Although not the primary grip facet used for obstacle course racing (OCR), you should not neglect pinch gripping in your training. After all, the world of OCR is constantly changing and the only real limit is the imagination of the course designers. If you missed the last post about Ironmind’s methodology for training, be sure to go back and review it now. 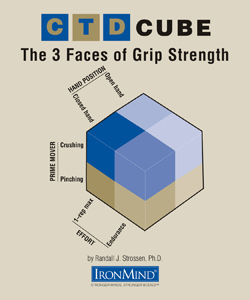 Now that you have a basic understanding of the 8 facets of grip strength, we will examine some of Ironmind’s more popular products to help you improve specifically as it relates to Obstacle Course Racing. 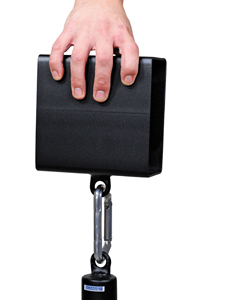 Captains of Crush (COC) Grippers: COC Grippers take gripper training to a new level. These are not the cheap grippers you will find a sporting goods store where you can do 30 repetitions while driving your car, these are serious training tools that require concentration and time spent in the gym, just like any other exercise. They provide strength along a full range of motion by stressing open hand crushing at the beginning and closed hand crushing at the end. They come in various strengths from Novice (rated at 60 lbs.) to Number 4 (rated at 365 lbs.). I recommend purchasing 1.5 or lower since I have yet to meet someone in person that can consistently close a Number 2. Little Big Horn: Little Big Horn is an attachment that is shaped like the point of an anvil. 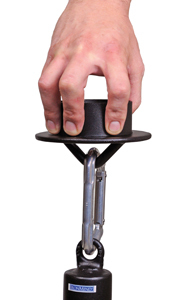 This unique shape provides closed hand crushing training by presenting an odd shape to grab. This can be used not only for low rep near max lifts for strength improvement, but can also be used as an attachment to a pulley machine for endurance focused training. Silver Bullet (and Silver Bullet Disc): Using a COC Gripper with the Silver Bullet accessory you can change COC Grippers from low repetition maximum strength training to primarily endurance focused. Closing the gripper with the silver bullet in between the legs of the gripper allows you to hang weight from it and hold the gripper closed for time. Any other thin bar training options (such as a normal dumbbell or barbell): This does not require specific tools but anytime you grab a bar in the gym, that is crushing closed hand training. Whether that involves regular pull-ups or standard dumbbell farmers carries, you are working crushing, closed hand and endurance. 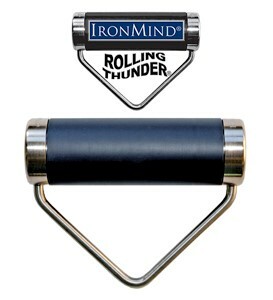 Rolling Thunder: Rolling Thunder is a thick bar attachment where the center can rotate. 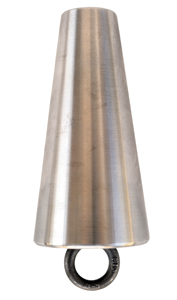 The standard method for using this is attaching it to a loading pin and doing one arm deadlifts. However, it can also be used as a handle for almost any exercise you would normally use at the pulley station from one arm lat pull downs, to reverse grip tricep extensions to single arm curls. Eagle Loops: These are fabric loops for your fingers that attach to a dumbbell or pulley machine. By putting your fingers through the loops, it forces your hand into an open hand position while exercising. They can be used for lat pulldowns and cable rows, but they can also be attached to a dumbbell for things like bent over dumbbell row. Using less than the full four fingers in the Eagle Loops can help target individual fingers along and in focus on specific parts of your forearms. 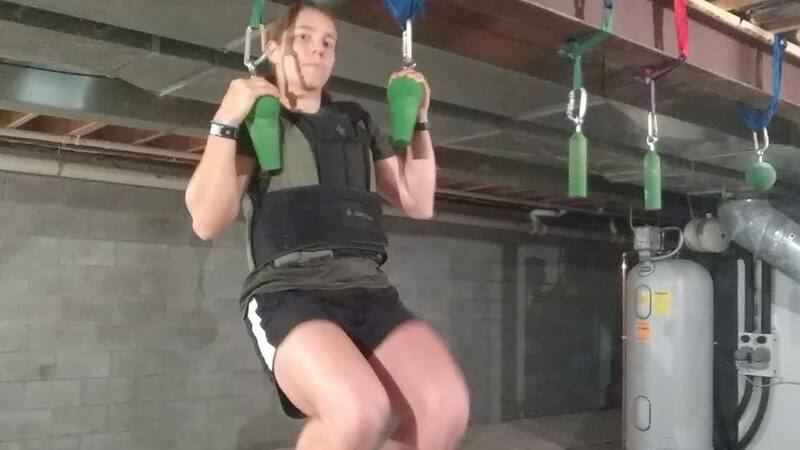 Endless Loops: Although endless loops are not a tool that can be used by themselves for grip strength training, they can be used to build a rig. By looping the sewn heavy duty fabric loops over the crossbeam of a pulley machine and adding in different grips like rings, climbing holds and ropes, it creates a mini-rig in your gym. This allows you to practice traversing from one side to the other and then back to the beginning. The medium, long or extra-long loops are going to provide you with an appropriate length of material to ensure you can tie a girth hitch over the crossbeam and on the attachment. Any other thick bar training options including Olympic Husky Handle Dumbbell Bar: Whenever you grab any thick bar or oversized handle, it is also working open hand crushing strength. This can be accomplished through a special bar or simply by doing pull ups on different objects like the crossbeam of a pulley station, support structure of a squat rack or the top of the Smith machine. Basically look around the gym and be creative when choosing where you plan on doing pull-ups. This Is just a sample of crushing grip training options using a mix of store bought equipment (from www.Ironmind.com) and objects already in your local gym. 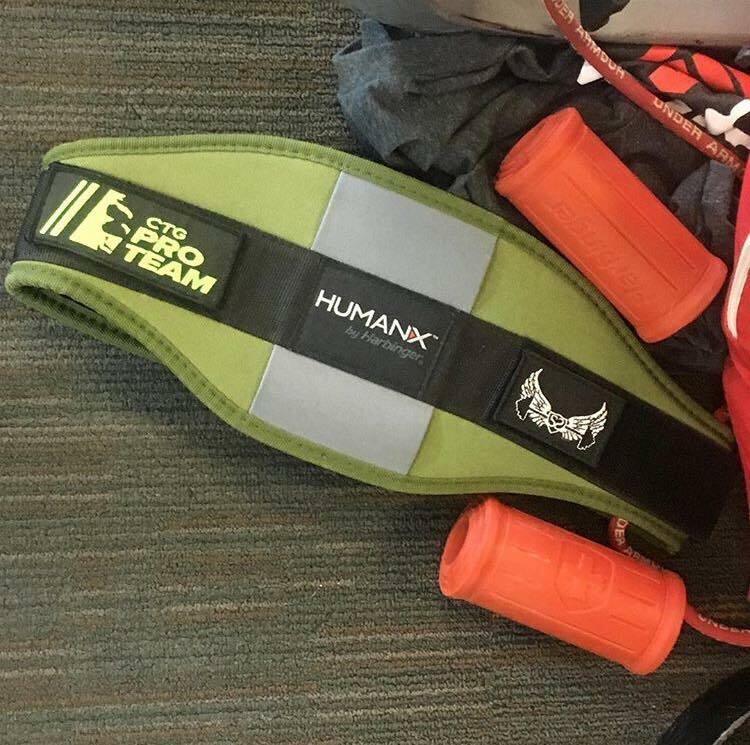 Not everything needs to be purchased to enhance your grip strength training, but having a couple of products with you in your gym bag can help take things the next level. Finally, as you continue your grip strength journey, be sure to be creative and find your own awkwardly shaped objects and techniques for training your grip. One of the things I have been telling people about Obstacle Course Racing (OCR) is that although the sport itself is new, the problems facing the athletes are not new. So when looking to improve various aspects of OCR I look towards other sports to solve the problems at hand. 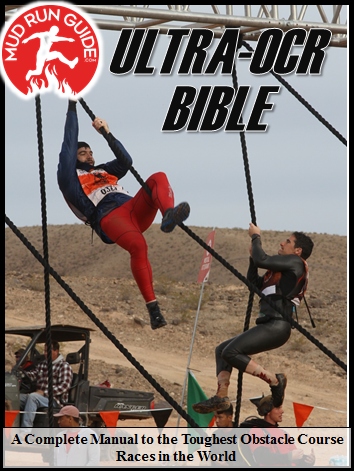 For improving endurance for events like World’s Toughest Mudder (24 hr OCR) I look to ultra-runners. For maintaining a lean physique with low body fat but quality muscle I look towards the bodybuilders. So when it came time to improve grip strength, I look towards the people who turned it into a sport on its own, Ironmind. These prime movers can each be broken down into open hand or closed hand positions. Crushing: The primary force holding the object is coming from your four fingers and not your thumb. Pinching: The primary force holding the object is coming from your thumb rather than your four fingers. Each of these four options can be trained using two different modes of intensity. Intensity: One Rep Max: Used when grabbing an awkward shaped obstacle or powering through a tough obstacle like the Platinum Rig. Endurance: The ability to repeatedly use the above techniques over the course of a race, whether that be a 8 mile Spartan Super, a 6.5 hour Battlefrog Xtreme or a 24 hour World’s Toughest Mudder. 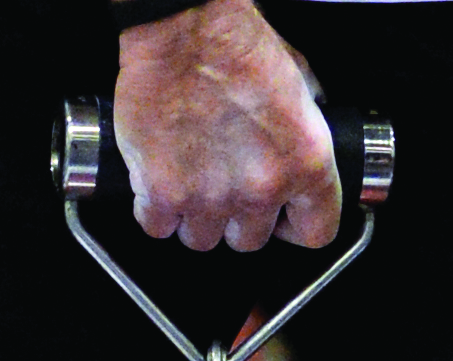 The two different intensities multiplied by the two different hand positions of the two different prime movers creates 8 total facets of grip strength. Additionally a supporting role is played by the wrist/forearm and the extensors to stabilize the hand. By doing thing like wrist curls and reverse wrist curls it specifically targets these supporting muscles. For obstacle course racing, we want to focus on primarily crushing by doing both closed hand and open hand work. This is due to the variety of objects we grab over the course of an event from extra wide bars, tops of walls, thin monkey bars and objects used for farmer’s carries. However, in order to be well rounded some pinching work should be incorporated because you never know what obstacles the course designed will throw at you. While this may still be confusing for some, in the next post I will give you specific exercises associated with each and tools you can make or purchase to enhance the 8 facets of grip strength. Why Are There So Many PED Posts? As a lifetime drug free athlete I post about Performance Enhancing Drugs (PEDs) a lot, probably more than I should. However, I try to provide Strength & Speed with new, interesting and fresh content. Many of my friends no longer subscribe to magazines like FLEX, Muscle & Fitness or do not pick up new ones like Bodybuilding.com’s Train because the content is just rehashed year after year. How long can you tell people to lift weights, follow rep schemes and eat high protein healthy food. There is only so much you can write about the topic without just reusing information. None of the above magazines ever talk about PEDs. The only fitness magazine I have found that takes about PEDs is Muscular Development (MD). 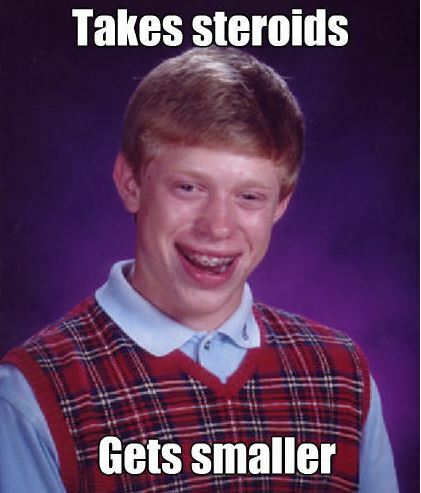 MD is generally “pro-steroid” but still gives out advice like consider risks and understand side effects prior to use. While steroid use seems very obvious to me when I look at bodybuilders or fitness models due to years of reading magazines, reading books and watching documentaries, it is not obvious to the average consumer. When I first started reading these magazines, I thought no one used steroids because drugs are illegal and bad, so why would anyone use them? 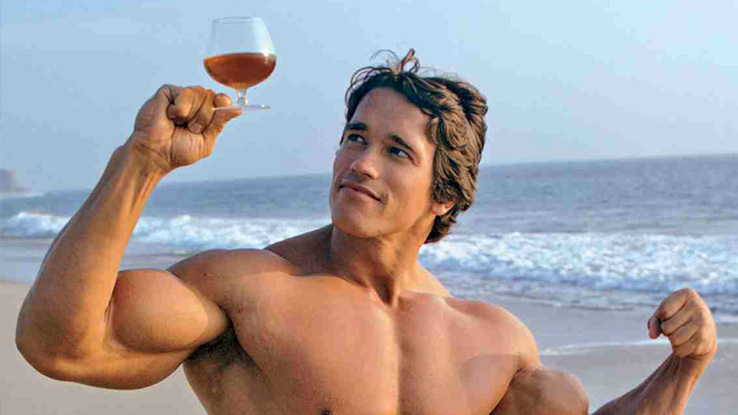 However, after spending some time in the fitness industry you realize that major stars like Stallone, Schwarzenegger, The Rock, Mark Wahlberg and Van Dam have all used them at one point (they all admitted it or their usage signs were very obvious). As a drug free bodybuilder (although I do not plan on competing for another couple of years), I struggle to find information that has not already been beaten to death. The social taboo of PED use leaves that topic relatively unexplored in many fitness magazines. While not an advocate of PEDs, I do think that not talking about them at all is worse for sports. To me, not discussing PEDs, is just ignoring the elephant in the room and sets false expectations for people. Just as I have seen many people complain about the beauty magazines photo shopping their models and how people should be aware of this, I think the same should be true about bodybuilding magazines. 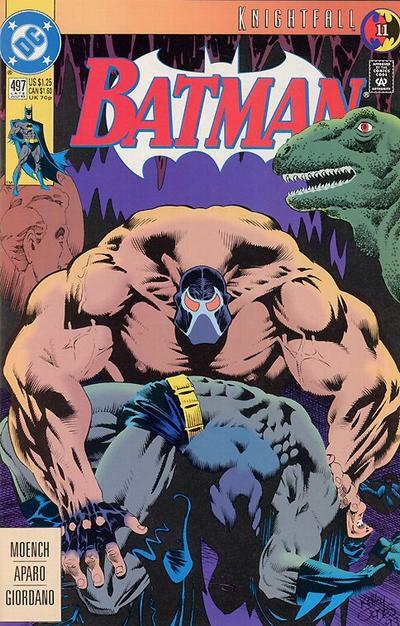 Readers should know that being 240 lbs. at 5% is possible but only through the use of anabolic substances or even being a lighter weight than that and staying shredded all year. Anyway, I hope you enjoy some of these posts and learn something in the process and I try to space out the PED articles with some other relevant strength content that is not just rehashed Muscle & Fitness articles. 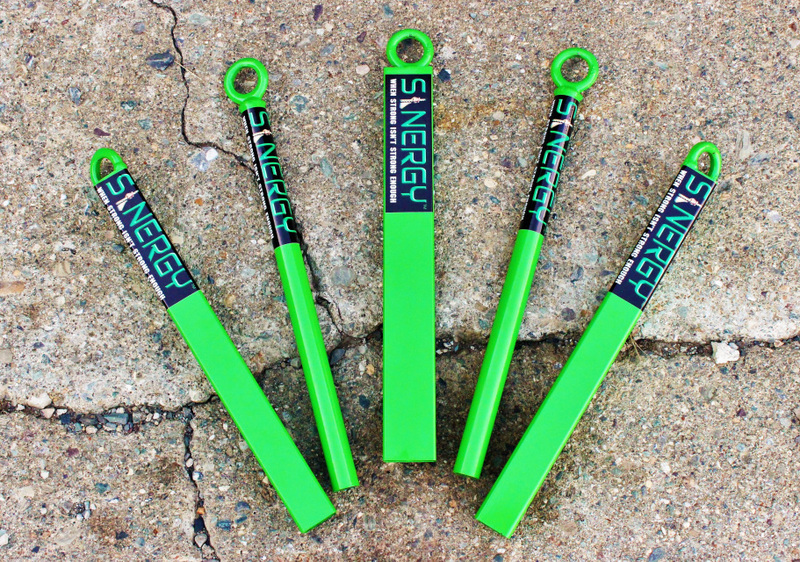 Last post we talked about products from Fat Gripz and Sinergy Sports that can be used to take your grip strength training to the next level. This week, I am here to give you some newer options that allow you to move past the gripper into a world where grip strength training is not a means to an end but is the goal itself. This is the world of Ironmind. Ironmind (free print catalog) is a company that makes products designed for strongmen, arm wrestlers and the grip strength obsessed. 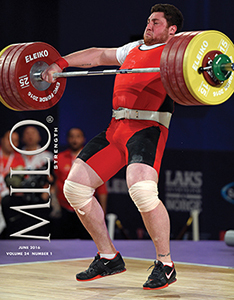 You may have seen some of their straps or contraptions featured in the World’s Strongest Man. 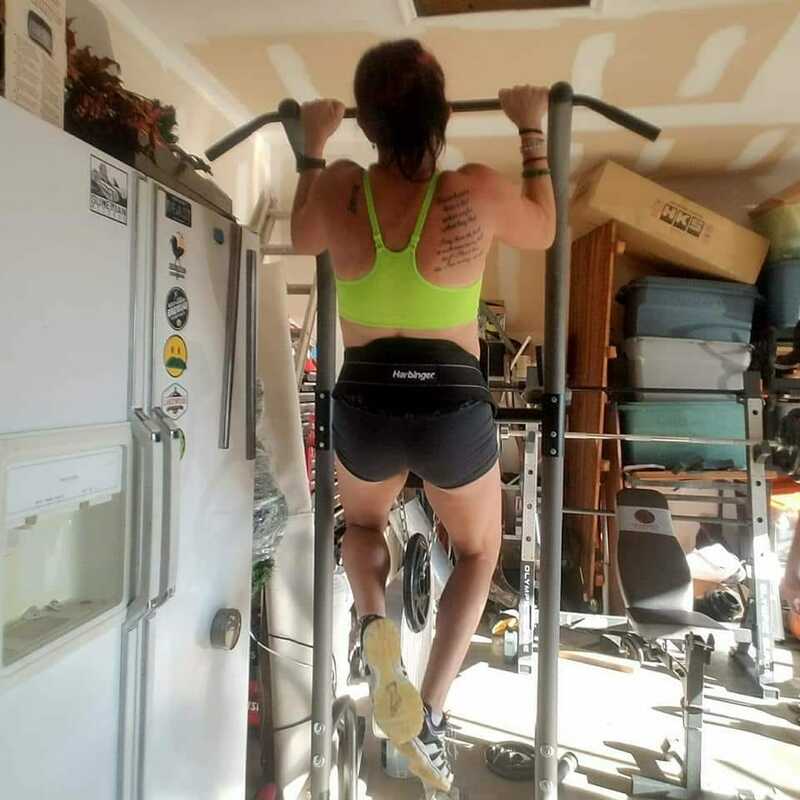 While you do not need to lift the heaviest Atlas stone or carry a yoke with two refrigerators, you can use their products for serious grip improvement. Here are some of the options they offer that you may want to incorporate into your strength training. Dip Belt: One of the ways to add progression (a key to improvement) to your OCR training is by adding weight. Ironmind offers a dip belt that is comfortable on the hips that can be used to improve pull-ups and dips by adding weight. This will help simulate many of the muscle movements used in OCR. Rolling Thunder, Anvil, Hub or Pinch Block: Instead of using the standard attachments offered in the gym when using a pulley machine, why not stress your grip strength too. The limit to how these products can be used is only held back by your imagination. Just attached them to a carabineer and start doing curls, tricep extension, lateral raises, internal shoulder rotations, single arm deadlifts or whatever else you can think of. Eagle Loops: If your are looking to take your pull-ups up a notch and also a light-weight accessory you can travel with that takes up no space, Eagle Loops has your answer. 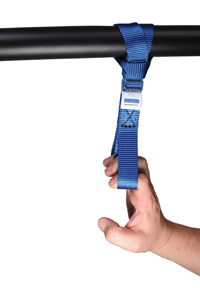 These fabric loops allow you to do pull-ups, pull-downs or rows focusing on an open hand grip (good for gripping especially wide holds on obstacles like rigs, fat monkey bars, Stairway to Heaven, etc.). They are lightweight but high quality, allowing you to stuff them in your gym bag or pocket but still able to handle the heaviest of athletes. Hammer, Wrist Roller, Re-enforcer or Twist Yo’ Wrist: If you are really getting into forearm training, they also have a variety of products which are a little more expensive and a little less portable. These are products that would be great for your home gym instead of going in your gym bag. By repetition of rolling, rotation and brick lifts, you can continue to improve one of the most important muscle groups for OCR. If you are feeling really feisty, check out the Bag of Nails and see where you stack on up on the nail bending challenge. If you are interested in more Ironmind products, check out their website and ask for a free catalog. Additionally, make sure you also pick up their June issue of MILO, which features my article “Enhancing OCR Training” for more great tips specific to OCR.